The sooner your write a book, the better (for you and your business). You can certainly write a book within the next 60 days! Here are 39 reasons why you should write a book. 1. Make money. You can make money not only by selling your book, but also by selling all the ancillary products and services you can offer. Money is often the key motivator for many authors, but it certainly isn’t the only reason why you should write a book. 2. Change lives. Books can enlighten, educate, inspire, inform, and entertain. They can and do change lives. Everyone has at least one story of a book that changed their lives. What book changed your life? Now, write one to change other people’s lives. Books can enlighten, educate, inspire, inform, and entertain. They can and do change lives. 3. Sell a product. Use your book to help promote another product, whether a real world product or an online information product. Books can help you sell all your other products and services. Seed your book with the stories of your other products and services. Include case studies, success stories, examples of failure and success. Books can sell your products and services faster and easier than anything else. Books allow you to showcase what you do, how well you do it, and how your customers benefit from what you offer. Use your book to help promote your real world product or an online information product. 4. Build a career. There’s no better way to build a career than to start by writing a book. Books open doors. Books get respect. Books get you promotions. And books get you job offers, again and again. Books open doors. Books get respect. Books get you promotions. And books get you job offers. 5. Boost your credibility. Nothing establishes your authority better than a book. Your book instantly boosts your credibility as a doer, as an expert, as a celebrity, as an authority. Of course, it has to be a good book, a great book, an extraordinary book. The more extraordinary, the more your credibility will grow! 6. Support a cause. Passionate about the environment? Write a book! Passionate about inner city health? Write a book! Passionate about gun violence? Write a book! Whatever cause you support, you can support it more effectively by writing a book versus donating money or time. Support a cause. Passionate about the environment? Write a book! 7. Share a message you’ve got to get out. We all have magic inside us that wants to get out. Writing a book is one of the best ways to get your magic message out into the world. Writing a book is one of the best ways to get your magic message out into the world. 8. Build a tribe. If you want to create a fan club, a following, or a community, write a book! They’ll find you! They’ll find you not only on the social networks, but also in reading groups, meetups, conferences, and more. If you want to create a fan club, a following, or a community, write a book! They’ll find you! 9. Use it as a business card. Books are the best business card you can carry. Create a very big business card that will get the attention of your customers (and potential customer) and get you more business and sales. 10. Become a speaker. Speakers with a book get more visibility, more bookings, more recognition, and more response. Not only can you speak to outside groups but you can also present and market your own seminars, conferences, webinars, teleconferences, and more. In addition to your speaking fees (up to $50,000 per speech, but typically between $2,000 and $10,000 per speech), you can build your prospect list super fast. Speakers get contact information from 20 to 50% of their audiences. One speaker reports getting contact information from 97% of his audience, time and time again. 11. Become an expert. 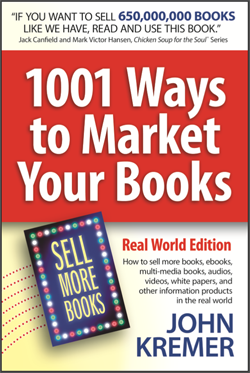 There’s no easier way to become an expert in a subject than to write a book about the subject – or THE book on the subject (like 1001 Ways to Market Your Books). You become an instant expert, a recognizable expert, the minute your book is published. There’s no easier way to become an expert in a subject than to write a book about the subject. 12. Create new products. 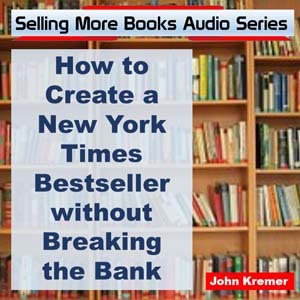 Your book can become the basis for a podcast, audio mp3, Internet radio show, video series, magazine column, syndicated column, webinar series, multimedia course, membership website, etc. Understand that many of your readers actually prefer to absorb information or entertainment in other ways: via audio, via video, via live seminars, via online webinars, via a membership site, via phone calls. That’s why you should always work to take your book and format it for other mediums. It’s the quickest and simplest way to create new products. Just take your book, and turn it into an audio. Just take your book, and parcel it out via a membership website. Just take your book, and speak it out live. 13. Be a consultant, coach, or mentor. Book authors are the experts people come to when they need answers to their questions. Who would you rather do business with? Someone with a little business card or someone with a bestselling book? Book authors are the experts people come to when they need answers to their questions. 14. Drive traffic to a website or blog. You can use your book to drive readers to different blog articles, online sales pages, email capture pages, etc. Be sure to include direct response calls to action in all your books! 15. Create and build a business. As Mike Koenigs says, you can wrap a business around your book, or you can wrap a book around your business. Your book is your million dollar seed to building a business that will last longer than you do. 16. Become a celebrity! People look up to and idolize book authors. Book authors are celebrities, the kind that can get the best tables in the best restaurants and still leave without getting attacked by the paparazzi. 17. Bypass the gatekeepers! Want to get in the door of major corporations, government offices, foundations, or think tanks? If you are a book author, you can easily get past the gatekeepers to the people you need to talk to. A book is the ultimate foot-in-the-door strategy to get attention from key decision makers. Your book will help you get past the gatekeepers to see the really important people. 18. Create wealth. Books can be the foundation to building a great business, a lasting career, or steady income via royalties and rights sales. Many authors report increasing their annual income by $100,000 or more after publishing a book and becoming a bestselling author. 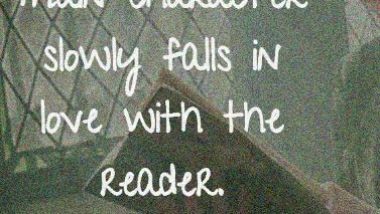 But a note of caution: Many book authors sell fewer than 100 copies of their books. That doesn’t create wealth. That’s why it’s crucial that you learn how to market your books. If you don’t take the time to market your books hard, your books won’t sell. You won’t earn what you are worth. And you won’t help people like you want to. 19. Attract better customers. The best way to develop great customers is to give your book to prospective customers. Those prospects who read your book and like it will become your best customers. Just write a book that answers the top 20 questions that prospects ask you again and again. Prospects always ask better questions after reading a book. If they ask the right questions, they will hire you and keep hiring you. That’s the best kind of customer. Those prospects who read your book and like it will become your best customers. 20. Market your heavily regulated service. If you work in a regulated industry (medicine, drugs, banking, investments, money management, taxes, retirement programs), you can get around the legal teams and compliance departments by writing about your experience. Compliance can be a stumbling block to marketing your services effectively. But no one can stop you from telling your stories and retelling the stories of your customers. 21. Be free to live the life you want. Books give you the freedom to live where you want, work when you want, and have more time to cherish your family and friends. Be free to live the life you want. Books give you the freedom to live where you want, work when you want, and have more time to cherish your family and friends. 22. Get maximum publicity. Books are some of the best tools you can use to get publicity, whether local PR or national media attention. Books open doors. Books get attention. Books stand out. Media are hungry for authors who know what they are talking about and can present their ideas effectively. Media hosts can use your book to select the topics and questions they want to ask you during an interview. They can also use the search engines (and Amazon) to discover the real experts on any topic. Who are those real experts? Book authors, plain and simple. Books open doors. Books get attention. Books stand out. Media are hungry for authors. 23. Become a social media star. Book authors get more followers on Facebook, Twitter, Pinterest, Google+, Instagram, and LinkedIn than do people without a book. Authors are celebrities! They are worth following, friending, fanning, liking, retweeting, and repinning. Note, also, that your social media posts can become the basis for your next book. It’s easy to create new books as you continue to post, pin, tweet, and share. Do you ever have to fight for business with competitors? Do you have trouble standing out in a crowd? Do you ever get asked the same questions over and over? Do you get price resistance for your services? If you answer yes to any of the above questions, then writing a book could be the answer to building your local business to a whole new level. A book would help you stand out tall among your competitors. A book would help to answer all the questions prospects ask over and over again. A book would set you apart as the person to work with, even at a premium price! 25. Teach. As a book author, you will be offered opportunities to teach in schools and universities, even without a teaching degree, a PhD, or other credential. Your books are your credentials. 26. Serve others. Your books are one of the key ways to serve others by sharing the best of your talent and the best of your ideas. 27. Become a VIP. Not only does writing a book make you an expert and celebrity, but it also guarantees your status as someone who is important, someone who is deserving of respect, someone who people want to be around, someone who draws a crowd wherever you go. 28. Build your list. Books are one of the best ways to build a customer list, whether offline or online. By building calls to action within your book, you can send people to a page on your website where you can capture their names and emails. Every chapter in your book should answer key questions your potential customers have. Each chapter should showcase examples, success stories, and social proof. If you create great calls to action within your book, you’ll generate the same kind of success as other Amazon bestselling authors: For every 10 books they sell on Amazon, they get 2 to 4 leads. 29. Promote live events. You can use your book to promote your on-going live events: speeches, meetings, seminars, webinars, podcasts, teleseminars, and more. 30. 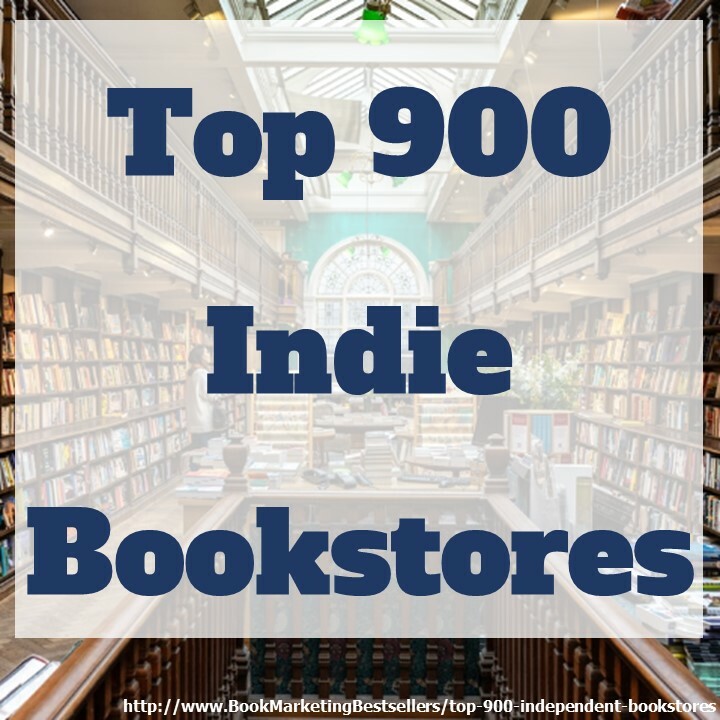 Partner with top companies to sell more books. Work with Apple, Google, YouTube, Amazon, and other high-traffic websites to promote you, your books, your business, your services, and your other products. With a book, you can easily partner with the top websites because they love books and they love book authors. 31. Launch a product. Use your book to anchor a high-ticket product launch, just as Mike Koenig is using his book Publish and Profit as a giveaway to encourage people to explore the complete Publish and Profit program he is launching this month. Launch a product. Use your book to anchor a high-ticket product launch. 32. Become a product spokesperson. Companies and brands are always looking for people who can represent them well in their ads, their live consumer events, trade shows, conventions, and more. They are looking for YOU, the author of a book related to what their brand represents. 33. Sell rights. Every time you write a book, you create a constellation of rights around that book that can be sold: movie rights, reprint rights, foreign rights, audio rights, multimedia rights, merchandising rights, and more. J. K. Rowling did not become a billionaire from writing books. She became a billionaire by selling the ancillary rights those books automatically generated: foreign rights, mass market rights, movie rights, merchandising rights, and more. 34. Develop as a writer. Someone who can write a book, can write almost anything: blog posts, articles, columns, etc. As a book author, you immediately qualify to write for websites that pay money for blog posts and articles. As a book author, you could be invited to write a column for a related magazine. As a book author, you can also ghost write for other authors. 35. Help more people. You can help a ton more people by writing a book that changes their lives than you can by donating your time at a food bank or by creating a new foundation. You can help a ton more people by writing a book that changes their lives. 36. Control your message. If you don’t write your ideas down into a book, someone else might try to do it for you. That is one reason Chip Wilson, founder of Lululemon, chose to write and self-publish his book, Little Black Stretchy Pants: “It’s one of the reasons I wrote the book; if you leave the press to write the story, they won’t get it right.” As he noted, I know from reading about other companies that the press rarely gets more than 2% correct. 37. Promote other products. When the founders of Away discovered that their first production run of suitcases was not going to be ready for the holiday season, they created a high-end travel book and sold it with a gift card for a free suitcase (to be redeemed in February when the production run would be completed). 38. Establish an institute. More than one author has created an institution to carry on their work originally inspired by the book they wrote. Jeffrey Smith, author of Seeds of Deception, founded The Institute for Responsible Technology to provide health information to consumers about the risks of genetically modified food. 39. Found a movement. Why stop at a book? Why stop at an institution? Why stop at a series of products? Why not create a movement? A movement that changes the world? Why not create a movement? A movement that changes the world? That’s why I founded the Billion Book Initiative: to inspire authors around the world to write and sell more books, to inspire storytellers to keep telling their stories, to inspire risk-takers to change the world. Are you ready to change the world? One book at a time. One story at a time. One person at a time. Mind to mind. Heart to heart. Soul to soul. Spirit to spirit. Universe to universe. 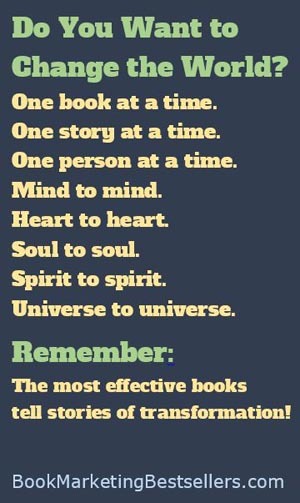 Remember: The most effective books tell stories of transformation!